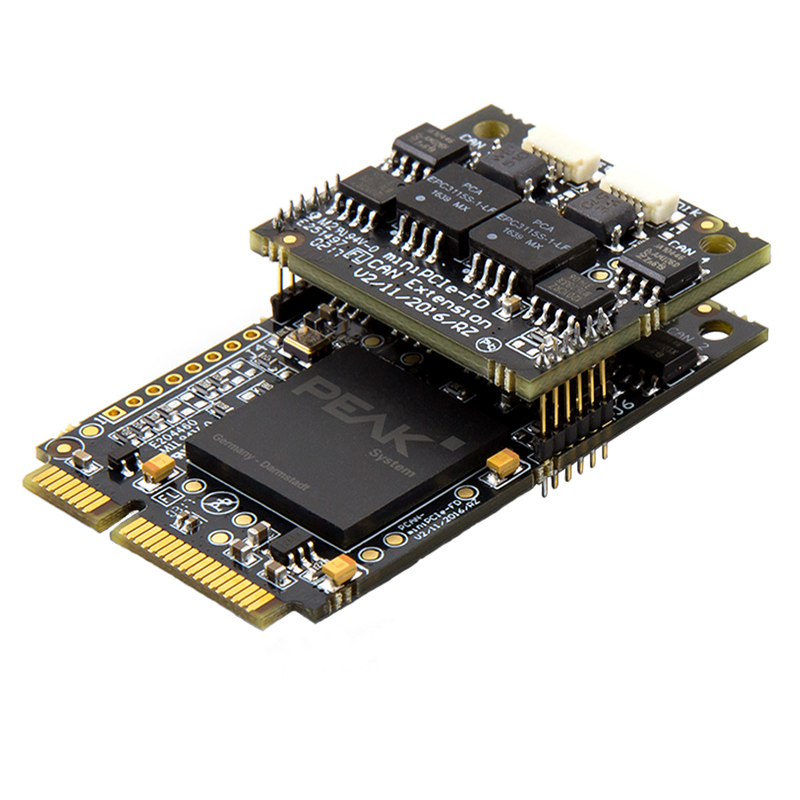 The PCAN-MiniPCIe FD enables a PC or laptop with Mini PCI Express slots to connect to a CAN FD or a classic CAN Network. 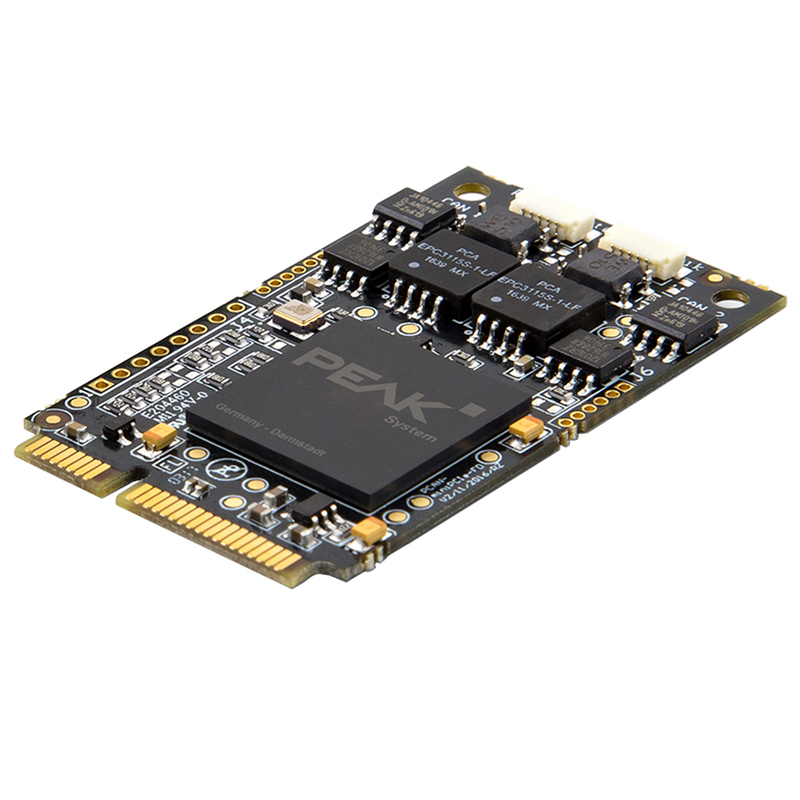 When using the Flexible Data (FD) rate protocol, the PCI Express delivers higher bandwidth for data transfers at 64 data bytes per CAN FD frame and bit rates up to 12 Mbit/s. The PCI Express FD is available in single, dual, or four channel versions with galvanic isolation up to 300 Volts. The CAN FD is downward compatible to the CAN 2.0 A/B standards and can be used in an existing CAN network.